Last year we saw a shift towards pleasing end users, whether they’re bookers or travellers. Travel management companies helped businesses work smarter, reduce cost and drive efficiency. But the industry faced a number of challenges over the last twelve months and by the looks of things, these are likely to increase as we head into the new year. Rail delays, is it all over? A number of large-scale projects and improvements have been taking place along Northern transport networks, including the Manchester Airport T2 expansion, the electrification of the Transpennine route and, of course, HS2. All these initiatives are designed to make travel easier, but the reality of the situation is 2019 will continue to be a period of disruption. Terms such as ‘Northern Fail’ dominated 2018 headlines as many of the rail networks continued to let commuters down, with cancellations and delays becoming everyday occurrences. Earlier this year, Clarity partnered with Tracsis TCS and launched the Business Travel Compensation scheme, a service that allows HR teams and travellers ensure 100 per cent of compensation due is received. As things stand, we can expect disruption to continue and, as a TMC, we need to take this into account when planning future itineraries and events. Alongside the delays from ongoing rail, road and building works, we expect there to be plenty more chaos inside airports, too, as we head into the final negotiations of Brexit. With a huge uncertainty still surrounding travel within the EU following Brexit, now is the time to speak to your TMC to review your travel policy. By identifying opportunities for marginal gains, you can ensure you get the best value for your money. As uncertain as it seems, it shouldn’t be looked at as a barrier to business. It may mean having to look further afield and could potentially open new doors and opportunities for your business. At Clarity we urge our clients to engage with us, utilising the expert knowledge and experience of our business travel consultants to understand cultural challenges and help create a seamless travel experience, wherever your business takes you. The volume of data is bigger than ever. But it’s not how much you have, it’s what you do with it. We’re steering away from looking at traditional MI and instead using data to measure traveller sentiment. With the likes of IBM Watson, the opportunities to delve into intelligent data not only enhances the traveller experience but helps bring together hearts and minds. Now that the hype of GDPR has dissipated, we need to turn our attention from how data is collected to how we use it. Our new MI and data tool, Go2Insight, allows users to make smarter, more informed decisions in an instant. And with our exclusive crime stat integration, we not only aim to make your travel more value efficient but safer too. Many industries in 2019 will be driven by the need for enhanced personalisation, and business travel is no exception. Focusing exclusively on either business benefits or traveller experience is short- sighted and where many TMCs fall down. That’s why we’ve launched our recent manifesto, Hearts and Minds, to investigate the link between the heart of the traveller and the mind of the travel buyer. By combining hard metrics with human understanding, we are ensuring that Clarity is fully integrated in our customers’ choices and behaviours, helping us to improve their experiences. Whether that’s saving money, developing a better work-life balance or enhancing comfort levels while travelling to increase efficiency, Hearts and Minds makes use of our extensive expertise for better travel on the long road ahead. These are just a few of the topics we can expect to hear a lot of over the coming year. Our latest podcast episode sees CEO Pat McDonagh, Commercial Director Sue Chapman and Operations Director Steve Riley go all out discussing how they see the business travel landscape shaping up over the next twelve months. 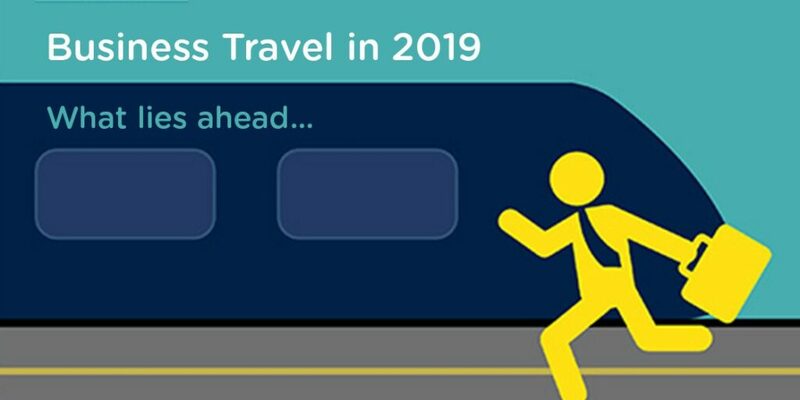 What areas of business travel are you most interested in for 2019?